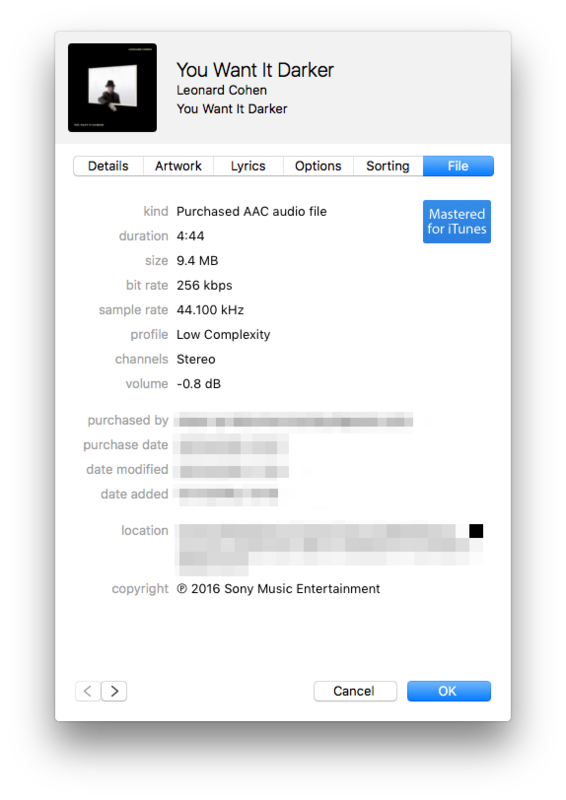 Is there a script that automatically goes through all music inside the iTunes Media folder and anonymizes .m4a (iTunes AAC) files to EFF-standards? Keep play counts, import date, etc. I have thousands of purchased iTunes songs, so going one-by-one is not an option. Browse other questions tagged itunes music file-conversion privacy m4a . Does a purchased iTunes song contain my Apple ID? Do MP3's encoded by iTunes contain my email address, and how can I remove it? Is there a way to switch between two folders for iTunes Media, especially for Macbook Air or Macbook Pro for limited storage? Can the playlists and ratings be recovered from iOS devices when an iTunes library is lost? How to remove duplicate songs from itunes playlist?